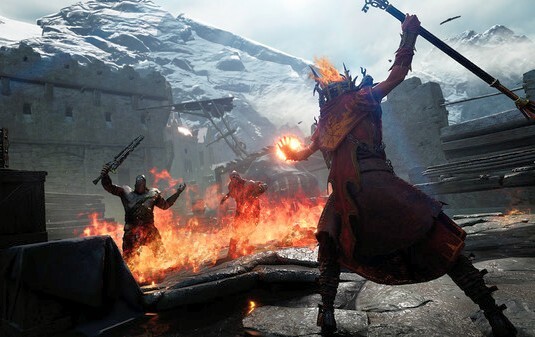 PlayStation 4 players who have been waiting for Warhammer: Vermintide 2 to hit their consoles since early March can now take this title for a spin, although this console version is still in a Beta phase. Its release date has been set for December 18 — more than five months after the arrival of the Xbox One version. Warhammer: Vermintide 2 arrived for Windows gamers in early March, 2018, and its Xbox One variant was released on July 11. This title that is the sequel to the Warhammer: End Times – Vermintide (released in 2015) is now finally available for PlayStation 4 consoles, but only as a Beta release. The full game is set to arrive next month, just in time for the winter shopping season — on December 18, if everything goes as planned. Fortunately for those interested, buying the aforementioned edition is not the only way into the Closed Beta. Although not everyone is selected, if you want to have the chance of being chosen, just go to this page and sign up. At last, it is also worth mentioning that the progress from the Closed Beta phase will be saved, so Beta players who continue to play the game after the release will not have to start it all over again.